The Chicago Blackhawks had a busy Friday, placing winger Bryan Bickell on waivers and sending 20-year-old Marko Dano to the AHL. These are interesting moves because they indicate the state of the franchise right now. Start with Dano. The Blackhawks received him when they traded Brandon Saad to the Columbus Blue Jackets in the off-season and he was skating on the top line with Jonathan Toews and Marian Hossa early in training camp. The tide seems to have shifted, however, and he’s off to Rockford. In his first NHL season with the Blue Jackets, Dano had 21 points in 35 games – including eight goals. He’s on an entry level contract and was selected by Columbus 27th overall in the 2013 NHL Entry Draft. As for Bickell, he could be picked up by another team along with his $4 million salary or he could clear waivers and land in the AHL along with Dano. If the latter happens, the Blackhawks will get $950,000 in cap hit relief but they’ll have to pony up the remaining $3.05 million of Bickell’s deal. One has to imagine they’re crossing their fingers that someone else will take on his contract. 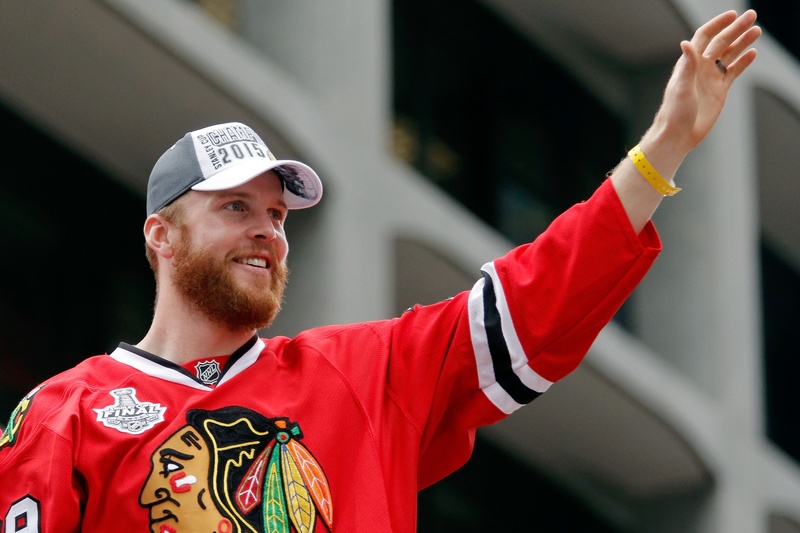 There were some trade rumours involving Bickell, with the Edmonton Oilers apparently kicking the tires. Nothing came out of that and the book on the 29-year-old hasn’t been that great lately, especially with a bout of vertigo and a tumble in the post-season. Waiving Bickell could be a way to make room to bring someone like Dano back to the big club, of course. If he clears waivers by noon on Saturday, Chicago would have more than $750,000 in cap space. That means they can mitigate another demotion by hauling Dano back to the Blackhawks. It also means that the Blackhawks are in tight this season, with very little room to move. And with the pending 2016-2017 cap hanging over general manager Stan Bowman, he’ll have to take a long hard look at what to do with players like Andrew Shaw and Marcus Kruger. While he still has most of his core locked down with big money deals, that lack of overall space could come back to haunt him in the end.